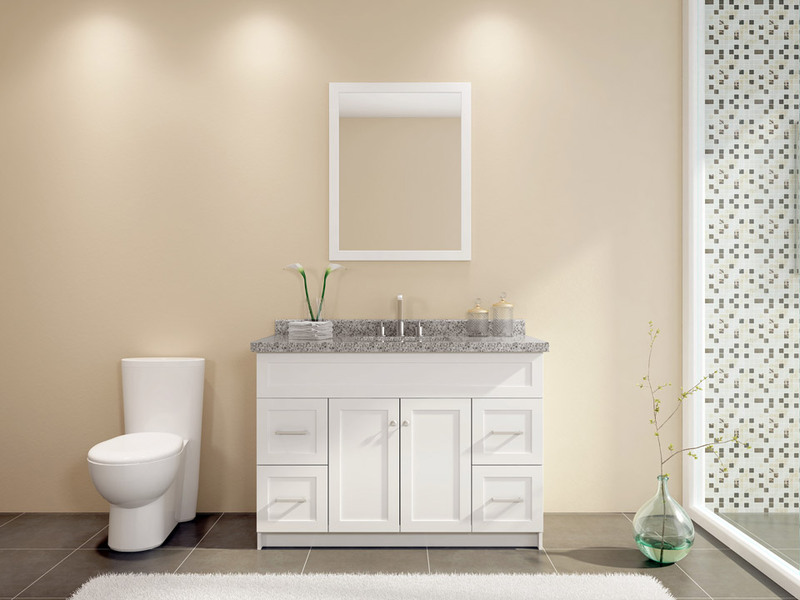 Give your bathroom décor a makeover with a modern bathroom vanity from Ariel Bath. The Hamlet series offers dark granite countertops mounted above white solid wood cabinets. With satin nickel finish hardware on the drawers and cabinets, these vanity sets will add an elegant aesthetic to a bathroom remodel.